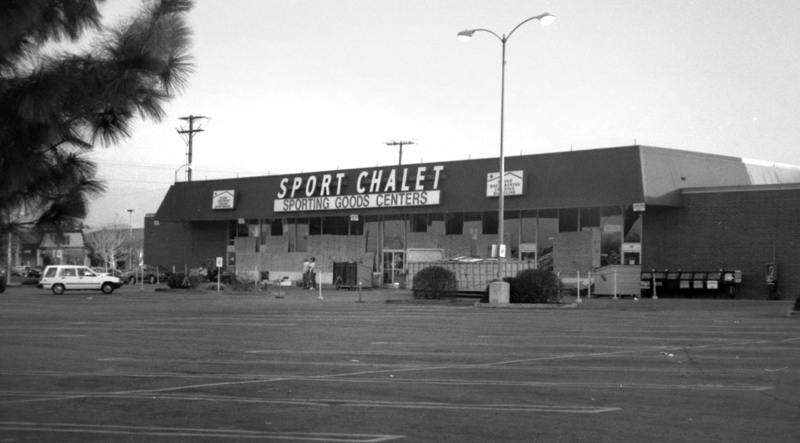 Broken windows at the Sport Chalet sporting goods store at the southwest corner of Lyons Avenue and Wiley Canyon Road were boarded up for quite a while after the Northridge earthquake of Jan. 17, 1994. 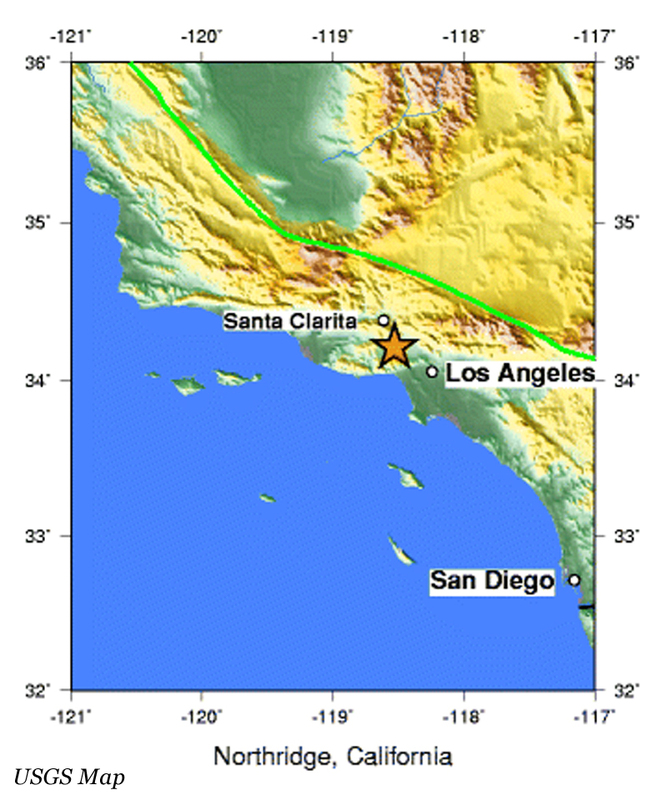 The site later became a 99 Cents Only store. LW9410j: 19200 dpi jpeg from original photograph (35mm BW negative) by Leon Worden.